at how we have adapted to diversity in the past, but at the ways rank-and-file Americans, clergy, and other community leaders are responding today. Drawing from a new national survey and hundreds of in-depth qualitative interviews, this book is the first systematic effort to assess how well the nation is meeting the current challenges of religious and cultural diversity. 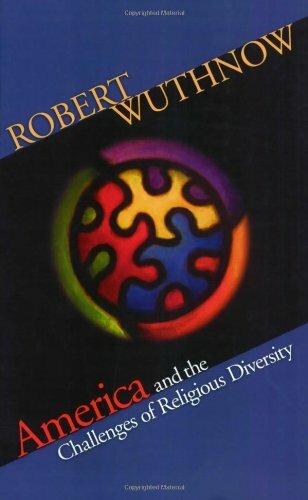 The results, Wuthnow argues, are both encouraging and sobering--encouraging because most Americans do recognize the right of diverse groups to worship freely, but sobering because few Americans have bothered to learn much about religions other than their own or to engage in constructive interreligious dialogue. Wuthnow contends that responses to religious diversity are fundamentally deeper than polite discussions about civil liberties and tolerance would suggest. Rather, he writes, religious diversity strikes us at the very core of our personal and national theologies. Only by understanding this important dimension of our culture will we be able to move toward a more reflective approach to religious pluralism. Robert Wuthnow, a native of Kansas, teaches sociology and directs the Center for the Study of Religion at Princeton University. He is the author of many books about American religion and culture, including "Remaking the Heartland: Middle America since the 1950s" and "Small-Town America: Finding Community, Shaping the Future" (both Princeton). The Tripartite Settlement 30 Beyond Christian America? Trisha Mobley: "It Is Written"
How Pluralistic Should We Be?